www.sportseventsmagazine.com May 2018 81 Come for the competition. Stay for the coast. Watch Your Team Play on all artificial turf fields for baseball, softball, soccer, or football. Or play golf on greens that lay at the water's edge. Here's to making it count. Here's to making a few waves. 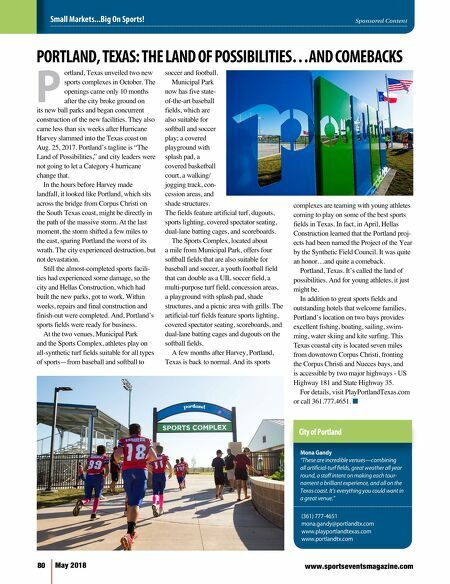 Located in the Coastal Bend, across the bay from Corpus Christi. 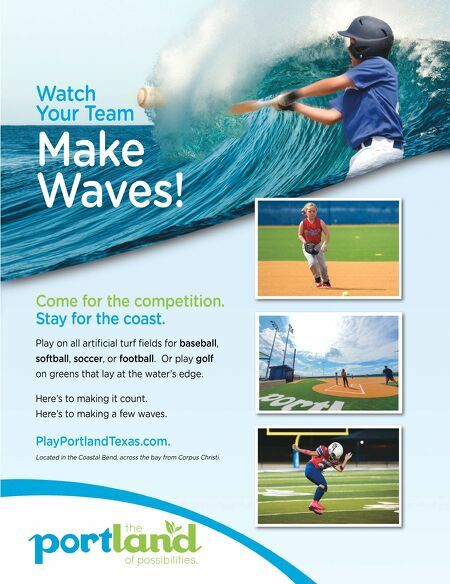 PlayPortlandTexas.com. Make Waves!